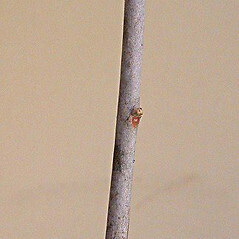 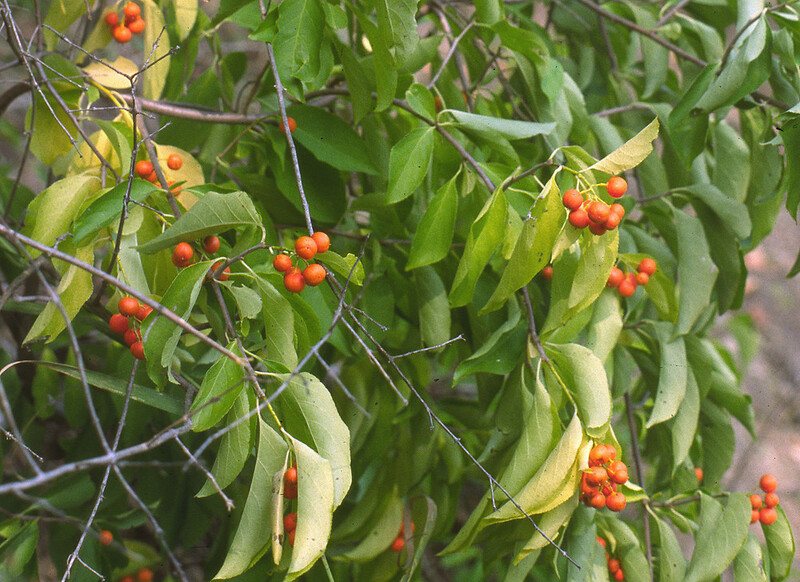 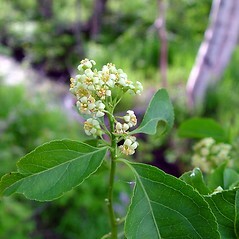 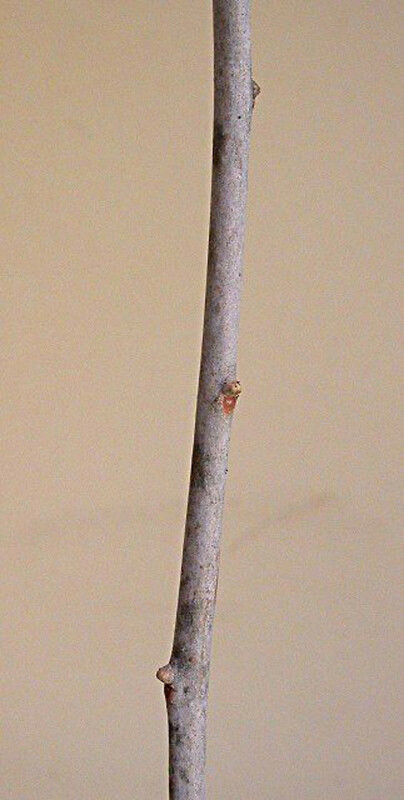 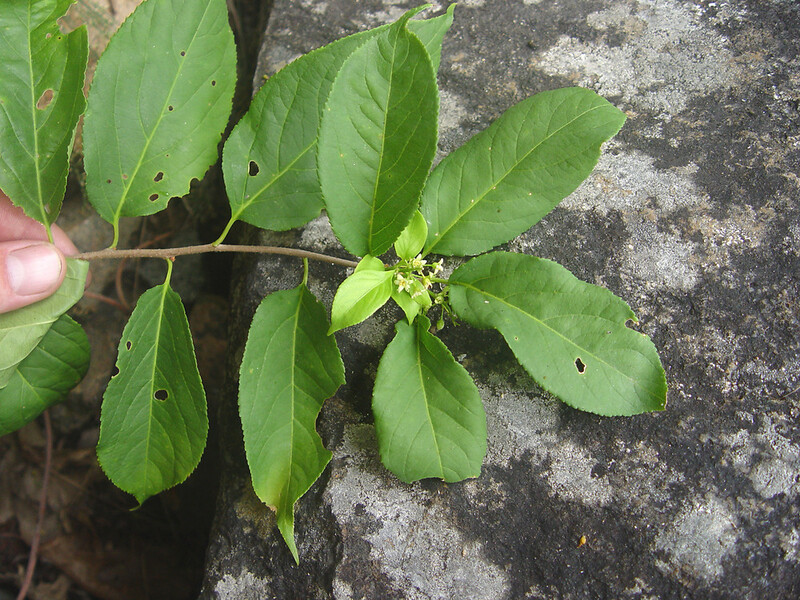 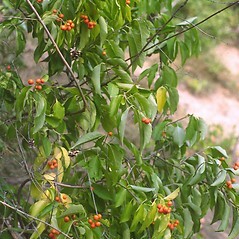 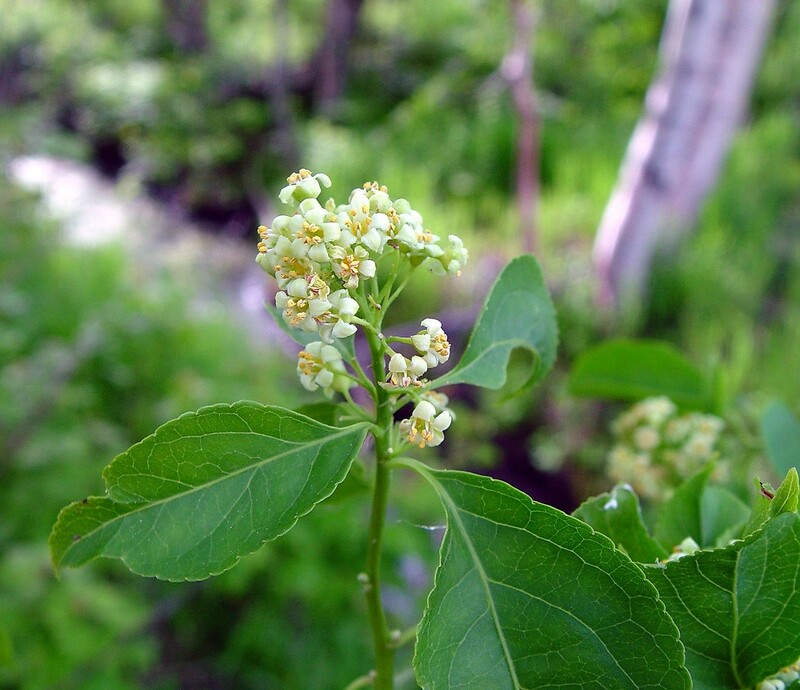 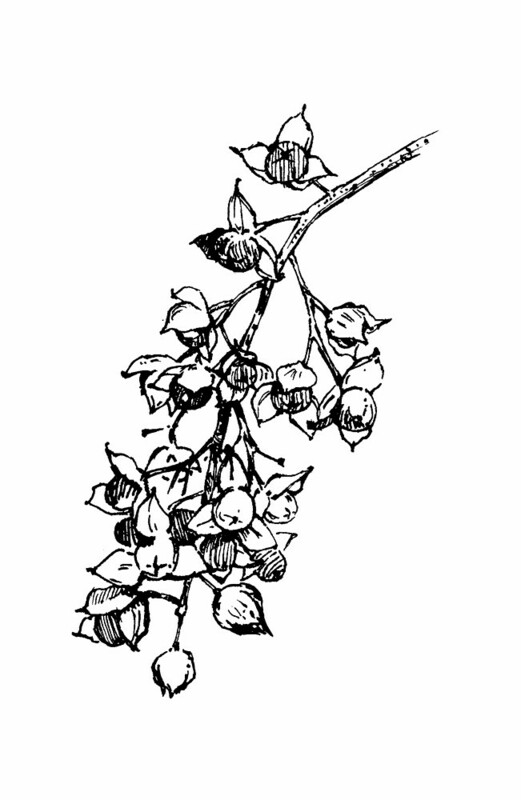 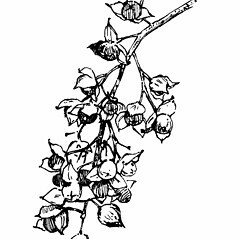 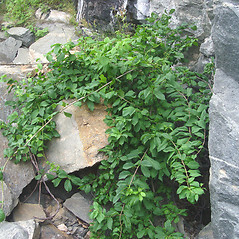 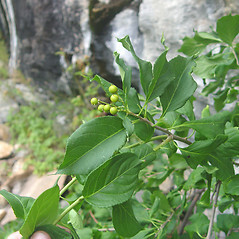 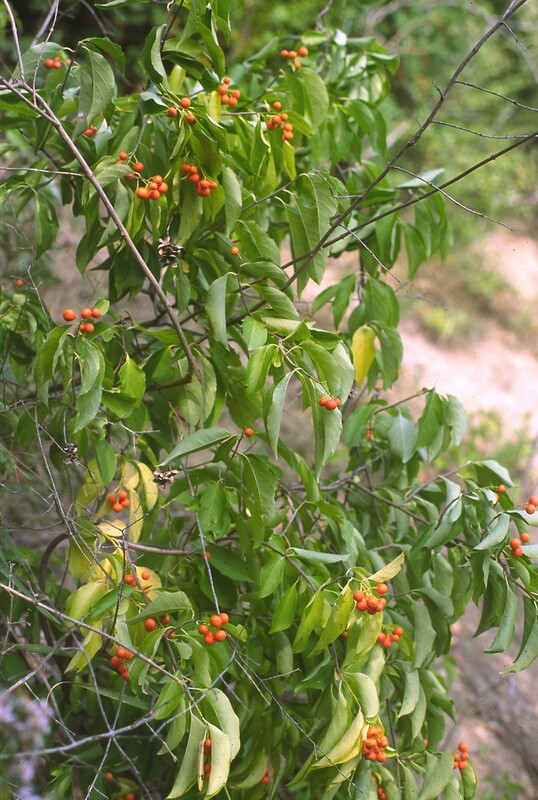 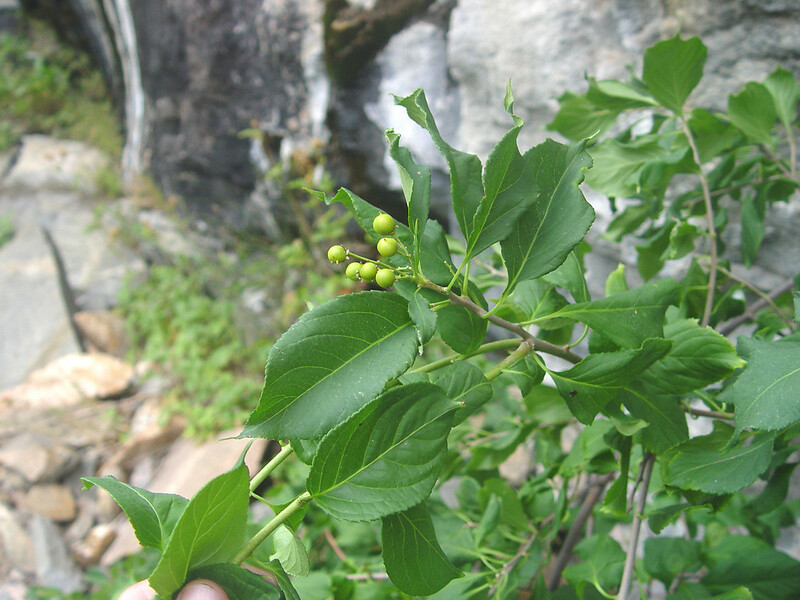 The native American bittersweet is distinguished from its invasive relative, Asian bittersweet (Celastrus orbiculatus) by its inflorescences, which form at the ends of the branches rather than the joints (axils), and by its finely toothed (as opposed to wavy) leaf margins. 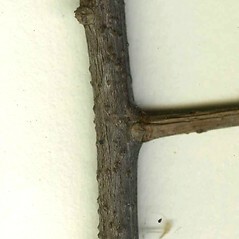 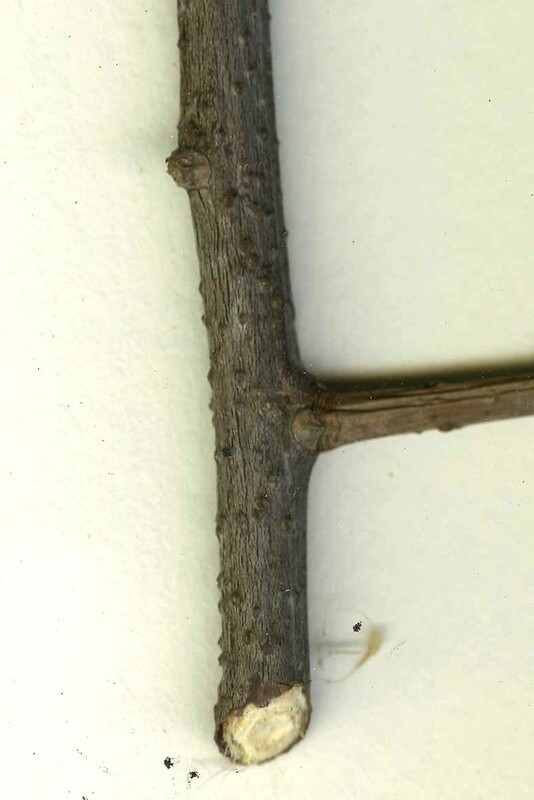 However, the two species can hybridize. 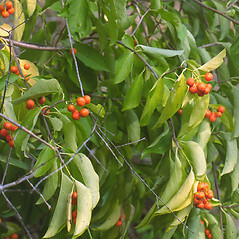 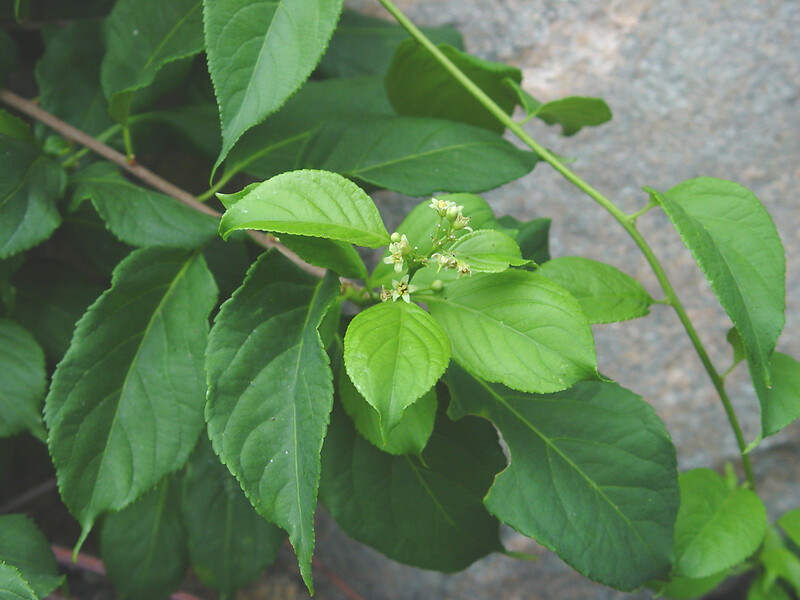 As with Asian bittersweet, American bittersweet can be used to fashion wreaths and other ornamental arrangements. 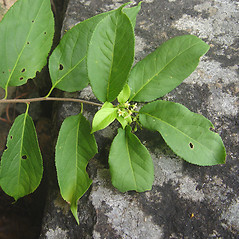 flowers in axillary arrays with 2 or 3 flowers, leaf blades usually less than 2 times as long as wide, and capsules usually with 5 or more seeds (vs. C. scandens, with flowers in a terminal array of 6 or more flowers, leaf blades usually more than 2 times as long as wide, and capsules usually with 0 or 1 seeds). 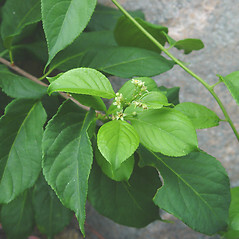 American bittersweet. 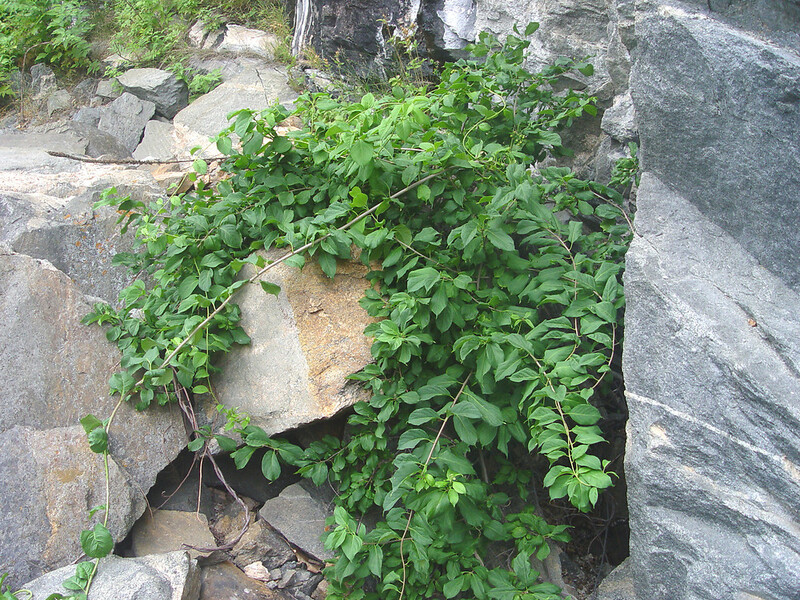 CT, MA, ME, NH, RI, VT. Forests and forest edges, rocky slopes, river banks.